Prior to submitting an order by clicking the ‘submit order’ button on the payment method page, please save or print a copy of these Terms and Conditions to keep on file for future reference regarding the order you are submitting. Please understand that if you do not accept these Terms and Conditions, you will not be able to order any products from our Site. 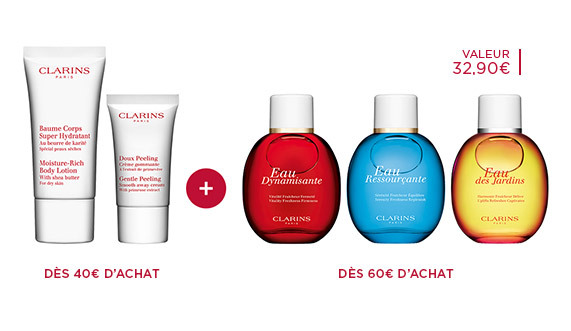 The following Terms and Conditions, as in force on the date of order, shall exclusively apply to the pre-contractual and contractual relationship between (a) Clarins USA, Inc., (“Clarins”), whose registered offices are located at One Park Avenue 19th Floor, New York 10016, when acting as reseller of the products of this website OR, when acting as seller of the products on this website (“www.clarinsusa.com”), (the actual seller hereinafter referred to as the “Seller”, “we”, “us”) and (b) you (the “Buyer”, “you”, “your”) for the purchase by you of products and/or services (including software products). These Terms and Conditions will supersede any and all other terms and conditions contained in or referred to in order(s), in correspondence or elsewhere and this notwithstanding any provisions to the contrary in such other terms and conditions. The Seller reserves the right to amend these terms and conditions at its sole discretion. Any amendments to these terms and conditions will become effective and apply to orders placed as from the sixtieth day following written notice of the amendments on www.clarinsusa.com or as from such later date as indicated in the notice. 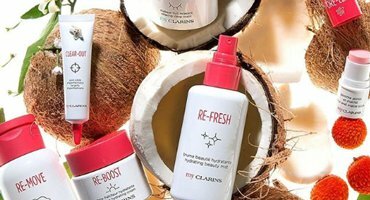 Orders may be placed exclusively online at the website of the Clarins Shop at Clarins.com (the “Site”) which is available in English. Before placing the order, the Buyer may review and change the order related data at anytime in the shopping basket area of the Site. The Buyer may identify and correct input errors at anytime, before finally submitting the order by clicking the "submit order" button, by reviewing the order and the price, reviewing the details of each product and selecting or deselecting a product. The presentation of products on the Site does not constitute a binding offer from the Seller. We reserve the right to limit the maximum product quantity and/or the maximum amount per order. Orders placed by clicking the "submit order" button by the Buyer constitute a binding offer to us to enter into a purchase agreement. However, orders may be placed and transmitted only if the Buyer accepts these Terms and Conditions by placing a checkmark in the appropriate check box, thereby including them into his/her offer. Once the Buyer has placed an order with the Seller, we will send him/her an e-mail confirming receipt and listing details of the order (order confirmation) without undue delay. This order confirmation does not constitute acceptance of the offer, but is only intended to inform the Buyer that we received his/her order. A contract of sale shall be concluded only when we ship the ordered product to the Buyer and confirm shipping with a second e-mail (shipping confirmation). No contract of sale shall be concluded for products not listed in the shipping confirmation. The Seller shall be the contracting party. The Seller does not intent to offer products for purchase to minors. Our products may only be purchased by persons who have reached the age of the majority in accordance with the applicable law. The concluded contract will be stored by the Seller and is available for the Buyer on request. You may request a copy of your contract via e-mail. For the avoidance of doubt, these Terms and Conditions shall apply to the formation of any such contract as soon as of your review of the products and services advertised on the Site. As consumer, the Buyer has the right to notify to the Seller that he/she waives the purchase, without penalties and without indicating any motive, within thirty (30) calendar days as of the day following the delivery of the product. The Buyer has no right to waive his/her purchase where it is a software program (i) acquired through downloading or forwarding of a key to activate the software program or (ii) unsealed by the consumer. When exchanging damaged or faulty products or incorrect deliveries, we will dispatch replacement items to you free of charge provided you first return the products in your order to us in the condition in which you received them. To obtain a refund or exchange of the products to us, please return products within thirty (30) business days as of the delivery date or, where applicable, the discovery of the defect. The above provisions do not affect your statutory rights. We will take all reasonable care to ensure that descriptions, details and prices of the products appearing on the Site are accurate at the time they are entered onto the system. The Site contains a large number of products and it is always possible that, despite our best efforts, some of the products listed on our Site may be incorrectly priced or described. If a Product’s correct price is higher than the price stated on our Site, we reserve the right to cancel your order prior to sending you shipping confirmation (as defined above) or to supply it at the previously indicated price. Product prices are in US Dollars and are stated exclusive of delivery charges which will be indicated separately on our Site and before order completion. While we aim to keep the Site as up to date as possible we do not warrant that product descriptions or other content available on the Site are accurate, complete, reliable, current, or error-free. Products advertised for sale on the Site may be ordered only if the invoice and delivery addresses are within the United States of America. The Seller will make every effort to deliver the product within the term indicated on the Site and in any event within thirty (30) days as confirmed of the order. Nonetheless, the times indicated on the website are indicative only. The Seller shall not be liable in any way if delivery takes place at a later date. The Buyer shall not be entitled to compensation or contract cancellation due to a delay in delivery, unless the delay was caused by the Seller or its supplier, and can be attributed to wilful misconduct or gross negligence. If the delay in delivery exceeds thirty (30) days, the Buyer shall be entitled to withdraw from the contract and shall be refunded of the payments already effected. To the fullest extent permitted by the applicable law, if the Seller is unable to deliver the ordered product through no fault of its own, because our supplier does not fulfil its contractual obligations, we shall be entitled to withdraw from the contract vis-à-vis the Buyer, if already entered into. In this case the Buyer will be advised immediately of the unavailability of the product. We will then return the sums paid by you within thirty (30) days beginning with the day after the end of the delivery period if we cannot supply the product purchased by you because it is not available. The Seller ships all orders via a parcel service (UPS). All items are insured by the Seller until they have been delivered at your address. In case of incomplete or damaged deliveries, please refer to section 3.2 hereto. Insofar as it is impossible to effect delivery to the Buyer, because the delivered merchandise does not fit through the Buyer's entrance door, front door, or the staircase, or because the Buyer cannot be found at the address he indicated, although the Buyer was apprised of the delivery date with a reasonable period of time, the Buyer shall bear the costs for the unsuccessful delivery. Payment can be made by credit cards (Visa, Mastercard or American Express). By using and verifying a credit card, you confirm that the card being used is yours. The amount payable will be debited from your account when your order is accepted by us. All credit card holders are subject to validation checks and authorization by the card issuer. If the issuer of your credit card refuses to authorize payment to us, we shall postpone delivery and contact you. In that case we shall not be liable for any delay or non-delivery. Credit card details will be processed by means of an SSL (Secured Socket Layer) connection. We shall not be liable for any misuse of information by third parties. Any Payment will only be deemed effected when our bank account will have been irrevocably credited of the amount due. If the you are in default or if your account cannot be debited upon acceptance of your order, the Seller shall be entitled automatically and without prior notice to charge daily late payment interests at the rate of (i) 5 % p.a. above the applicable statutory interest rate for professionals, and (ii) the applicable statutory interest rate for consumers, as of those events. The Seller explicitly reserves the right to prove additional damages and collection costs and to claim compensation therefor. 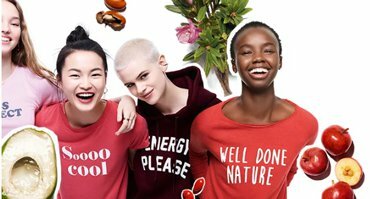 The products will be delivered to the place of delivery specified in the Seller’s shipping confirmation. Risk of loss, damage and theft of the products transfers to the Buyer upon delivery. Products shall remain the property of the Seller until complete and final payment of the purchase price including any transportation charges, taxes and late payment interests. The Buyer will ensure that the goods subject to retention of title remain at all times recognizable as the property of the Seller. In case the Buyer resells or pledges goods that are subject to retention of title, it will notify the third party that the goods are subject to retention of title from the Seller. If the product is defective, the statutory provisions shall apply. TO THE EXTENT PERMITTED BY APPLICABLE LAW AND EXCEPT FOR THE LIMITED WARRANTIES SET FORTH UNDER SECTION 3.2 ABOVE, THE SELLER AND ITS SUPPLIERS MAKE, AND THE BUYER RECEIVES, NO WARRANTIES OR CONDITIONS, EXPRESS, IMPLIED, STATUTORY, OR OTHERWISE, AND THE SELLER AND ITS SUPPLIERS SPECIFICALLY MAKE NO REPRESENTATIONS WITH RESPECT TO PRODUCTS, ANY CONDITIONS OF QUALITY, AVAILABILITY, RELIABILITY, SECURITY, LACK OF VIRUSES, BUGS OR ERRORS, HIDDEN DEFECTS AND ANY IMPLIED WARRANTIES, INCLUDING, WITHOUT LIMITATION, ANY WARRANTY OF TITLE, MERCHANTABILITY, FITNESS FOR A PARTICULAR PURPOSE, OR FOR HIDDEN DEFECTS. TO THE FULLEST EXTENT PERMITTED BY APPLICABLE LAW, THE SELLER SHALL NOT BE LIABLE FOR ANY INDIRECT, SPECIAL, CONSEQUENTIAL, INCIDENTAL, MULTIPLE, PUNITIVE OR OTHER INCIRECT DAMAGES (INCLUDING, WITHOUT LIMITATION, DAMAGES FOR LOSS OF INCOME, LOSS OF SAVINGS, LOSS OF CLIENTELE, LOSS OF OPPORTUNITY, LOSS OR CORRUPTION OF OR DAMAGE TO DATA, LOST PROFITS, COSTS OF RECOVERY OR ANY OTHER DAMAGES, EVEN WHERE THOSE DAMAGES ARE CONSIDERED AS DIRECT DAMAGES), HOWEVER CAUSED AND ON ANY THEORY OF LIABILITY, AND WHETHER OR NOT FOR BREACH OF CONTRACT, NON-CONTRACTUAL FAULT, WARRANTY FOR HIDDEN DEFECTS OR OTHERWISE, AND WHETHER OR NOT THE SELLER OR ITS SUPPLIERS OR LICENSORS HAVE BEEN ADVISED OF THE POSSIBILITY OF SUCH DAMAGES. TO THE EXTENT PERMITTED BY APPLICABLE LAW, THE TOTAL CUMULATIVE LIABILITY OF THE SELLER AND ITS LICENSORS AND SUPPLIERS ARISING OUT OF THESE TERMS AND CONDITIONS SHALL BE LIMITED TO THE SUM OF THE AMOUNTS PAID AND OWING TO THE SELLER FOR THE RELEVANT PRODUCT DURING THE RELEVANT AGREEMENT TERM. NOTHING IN THESE TERMS AND CONDITIONS WILL EXCLUDE OR LIMIT OUR LIABILITY TO YOU FOR ANY DAMAGED CAUSED BY OUR WILFUL MISCONDUCT OR GROSS NEGLIGENCE, OR FRAUD, DEATH OR PERSONAL INJURY CAUSED BY OUR NEGLIGENCE, OR FOR ANY OTHER LIABILITY WHICH MAY NOT BE EXCLUDED OR LIMITED UNDER APPLICABLE LAW. THESE TERMS AND CONDITIONS SHALL ALSO NOT AFFECT YOUR STATUTORY RIGHTS THAT YOU HAVE AS A CONSUMER. By visiting the Site, you agree that the laws of the state of New York, without regard to principles of conflicts of laws, will govern these Terms and Conditions and any dispute that may arise between you and Seller. Any dispute relating in any way to your visit to the Site or to any products sold shall be submitted to confidential arbitration in New York and you consent to exclusive jurisdiction and venue in any such court. Arbitration under this agreement shall be conducted under the Consumer-Related Disputes Supplementary Rules then prevailing with the American Arbitration Association. The arbitrator's award shall be binding and may be entered as a judgment in any court of competent jurisdiction. To the fullest extent permitted by applicable law, no arbitration under these Terms and Conditions shall be joined to an arbitration involving any other party subject to this Terms and Conditions, whether through class arbitration proceedings or otherwise. If any of these Terms and Conditions are found to be illegal or unenforceable, the other terms will remain in full force.